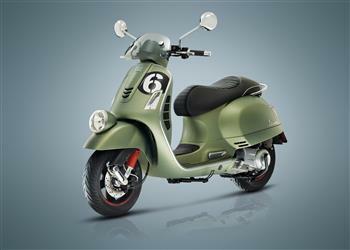 New Vespa GTS 300 Super FL : Classy Commuter leads the way with advanced ABS and Traction Control. Piaggio announced today the iconic GTS 250 will continue into 2010. The thrifty 250 has become renowned for its flexibility as a fuel efficient commuter while retaining its image credibility with the Sunday morning breakfast set. Cross Vespa design with Gran Turismo power and you get the exclusive Vespa GTS 250 i.e., a vehicle that brings a touch of real style to the crowded GT scooter segment. Characterised by the large body made strictly in steel, perfect for moving about elegantly in the city but always ready for travel and adventure, Vespa GTS is the technical base for the new Vespa Sei Giorni.